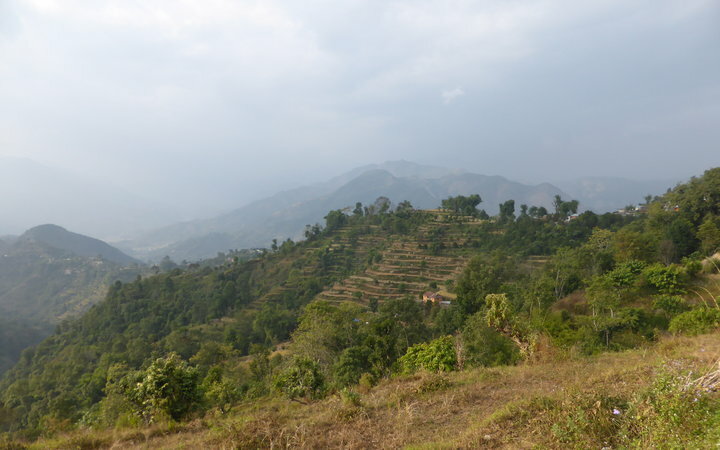 I elected to spend my final week in Nepal away from the hustle and bustle of the city. 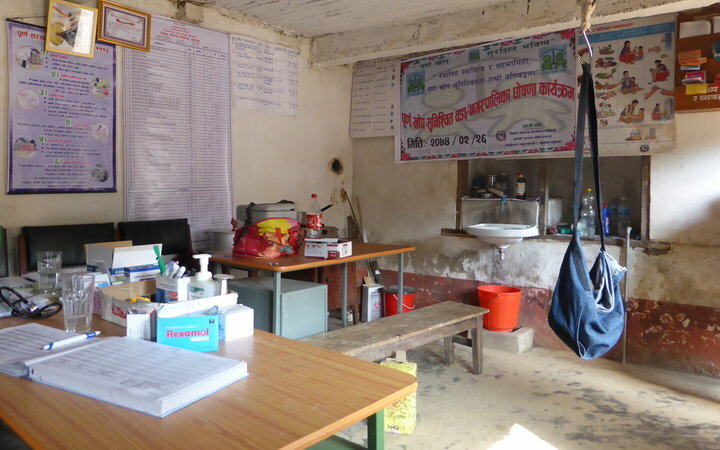 I wanted to take advantage of Work the World’s Village Healthcare Experience (VHE) in Pokhara. 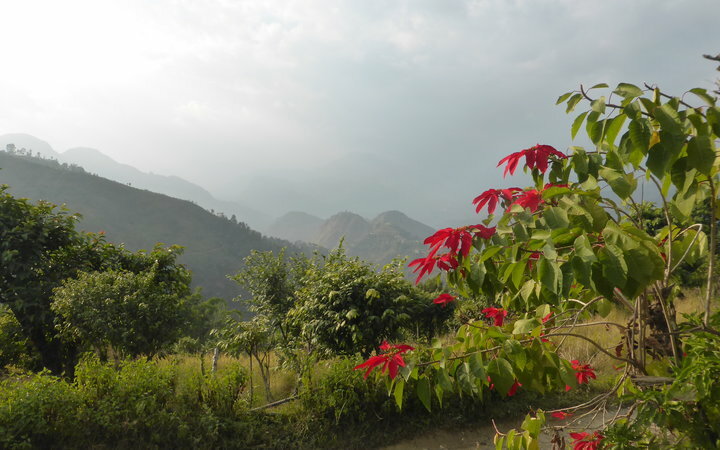 The VHE allowed me to live in a remote Nepali mountain village for a week accompanied by a guide. When the taxi to the village arrived, I wasn’t sure that I was ready to leave the comfort of the Work the World house. My amazing new friends were there, as was the familiarity of beautiful Pokhara. On my way to the village. 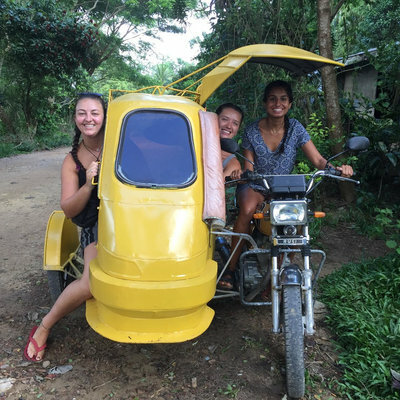 We disembarked the taxi and carried our bags up a dirt road to a Jeep that was to take us the rest of the way to the village. We rounded the bend at the top of the hill to see the vehicle packed with people. Some sat on the roof, others clung to the sides, and anywhere where there was a space in between the bags and boxes stacked in the trailer being towed at the back (saying nothing of the goat in the passenger seat!). The road to the village was unmade, narrow, steep, and windy. The engine strained under the load it was being asked to pull, but we finally arrived at the village to beautiful views of the surrounding area. 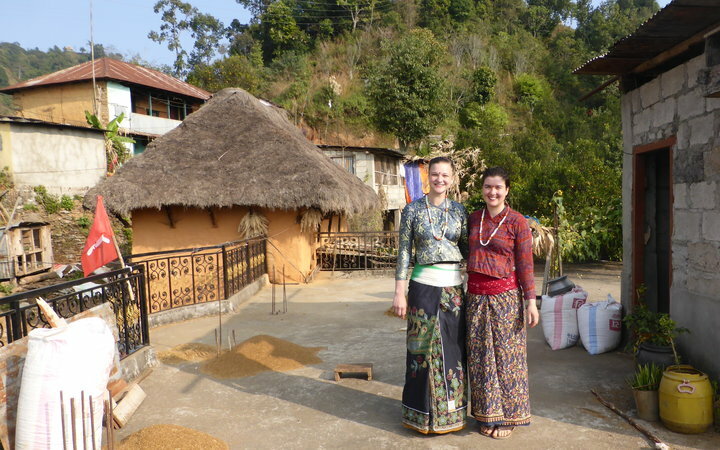 It was easy for us to get by in Pokhara by relying on the locals’ understanding of English. The village, I was told, was more of a challenge. But there was no need to fear; Work the World had my back! They arranged for a local guide to accompany me for the week, so I didn’t need to worry about finding myself in any ;I-have-no-idea-what-you’re-saying-to-me’ situations. Our guide just so happened to be the daughter of the family we stayed with in the village. They were loveliest and most welcoming people. Without our guide, our ability to communicate with parents was limited to “Namaste” and “mitho cha”, the latter meaning delicious, in reference to the scrumptious dal bhat that we ate for lunch and dinner each day. But when you can’t rely on words, you realise just how much a smile can say. Staying with a local family enhanced my experience in the village, allowing me to be further immersed into the incredible Nepali culture. 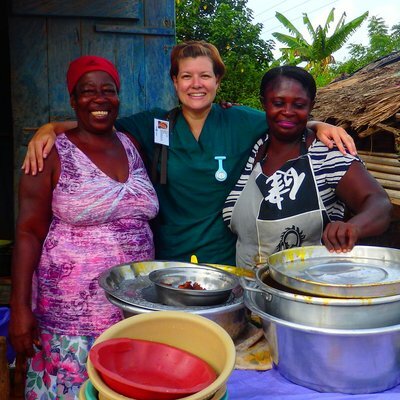 Spending time at the village’s health post each morning was an invaluable experience. It was staffed by local health workers, and they tended to minor injuries and ailments like the common cold, headaches, and cuts from falls or working in the fields. They also provide contraception and antenatal checks. A heavily pregnant young woman came in for her final check-up on our last day at the health post, which is when it occurred to me that most women in the village went through pregnancy without a single ultrasound. 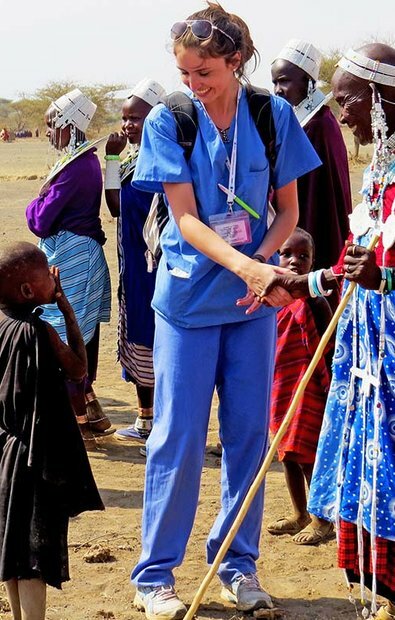 If patients require any medical imaging, blood tests, surgical procedures, or allied health intervention, they must travel to the nearest hospital—a journey of several hours by foot. 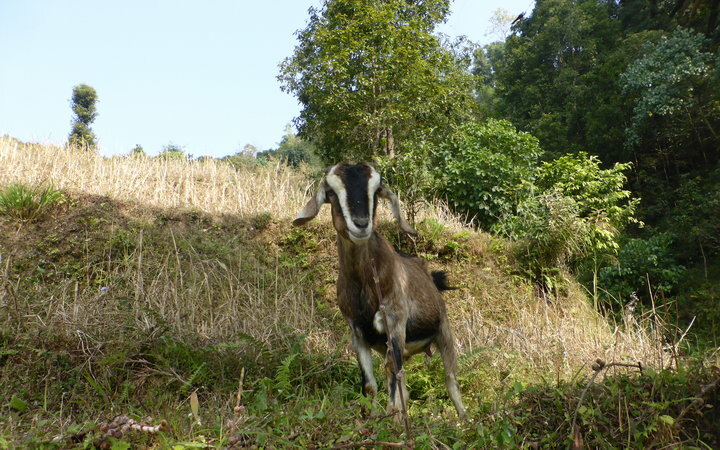 Each afternoon once the clinical placement was over, we took part in daily errands like grazing the goats, milking the neighbour’s buffalo, picking coffee beans, and grinding millet to make bread. We also visited the local school, and got dressed up in traditional Nepali clothes to attend a Puja (an 84th birthday party)! The week of simple living was challenging at times, but it was an experience that I felt so grateful to have had. My house in Australia has clean running water, a heater, sealed windows, couches, soft pillows, flushing toilets, a well-stocked fridge and pantry. I can jump into my car and drive along a tarmac road to get to any number of shops, cafes, schools, and medical centres within minutes. But how I lived during my week in the village was life for local people. The experience was both confronting and humbling. However, the people living in rural Nepal proved that one doesn’t need creature comforts to live a happy and fulfilling life. 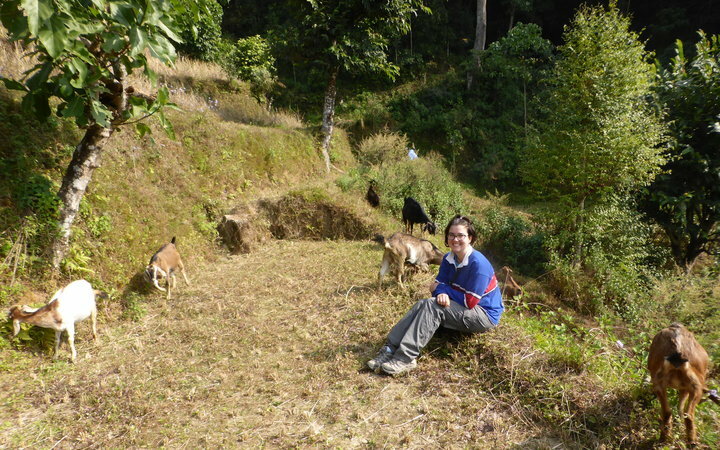 Some of my favourite things about life in the village were the peacefulness, the strong sense of community, picking mandarins and guavas straight from the trees, the beautiful scenery, making friends with the goats, and Nepali dancing with the girls who lived next door. It was a week filled with memories that I will always treasure. When the time finally came, I was sad to say goodbye to my new family. They gave us a beautiful send-off with hugs and flowers and blessings. 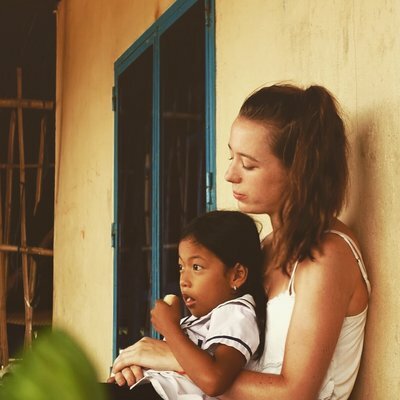 As I climbed into the Jeep—feeling much calmer this time around—I reflected on how the apprehension that overcame me upon arrival was now replaced by deep appreciation and love for the village and the people I’d met. Embrace the opportunity. If you leave your prejudices at home and adopt an open mindset, you’ll have an amazing, fascinating, and incredibly valuable learning experience. I believe that the experience has not only made me a better health professional, but a better person in general.